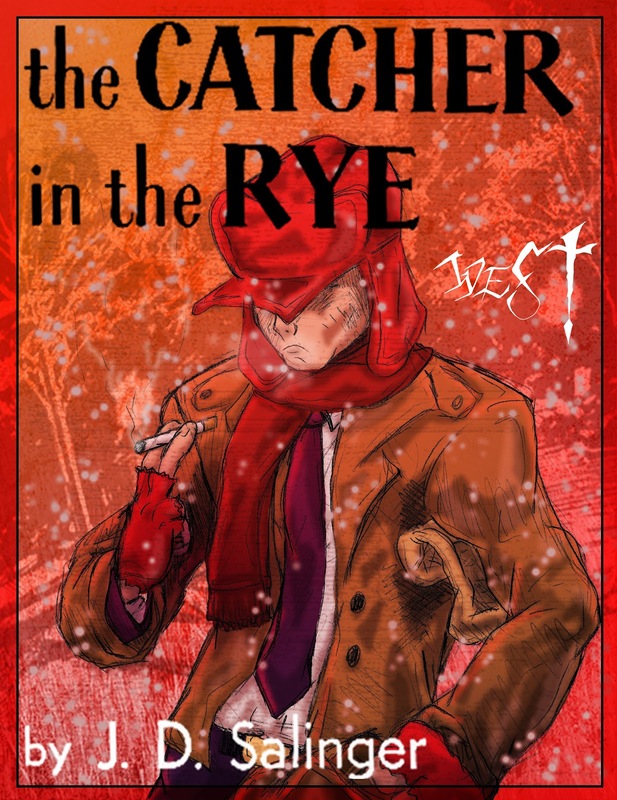 When making your costume selection for this years Halloween party, why not go literary? Here's a list that will hopefully help you pick and make your costume for Halloween this year. 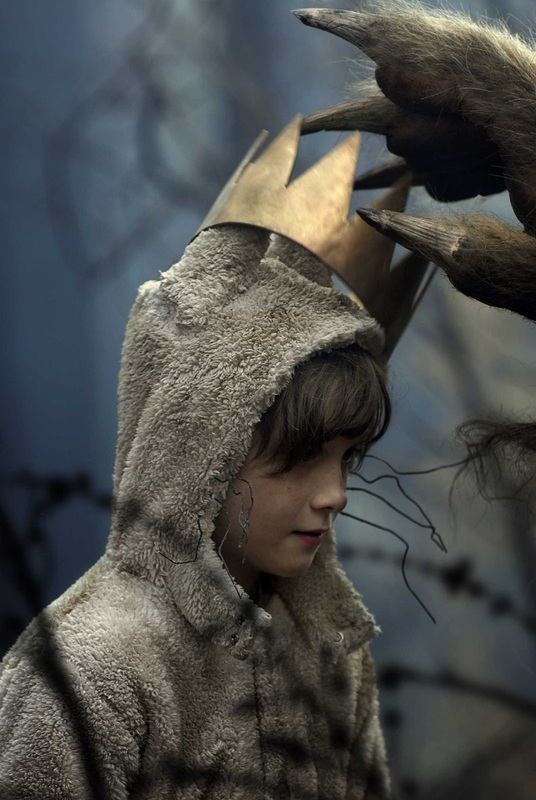 Max from Where the Wild Things Are by Maurice Sendak. The crown is easy enough to make, and if you're older and having difficulties finding a white onesie, you could always use white pants and a sweater. This instructable can help you make an awesome hat for your costume. You can also find instructions for the full costume here. This is a good choice for someone who lives somewhere colder (like me), especially for trick or treating. Madeline from The Madeline Books by John Bemelmans Marciano. She may be small, but inside she's big! You could always search thrift stores to make this costume, or, if you're crafty, make your own. You can find a tutorial here. 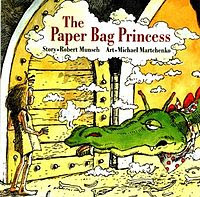 The Paper Bag Princess from The Paper Bag Princess by Robert Munsch. This is probably the cheapest costume on the list. I've seen a few people do this costume over the years, and where I live the book is very well known so everyone gets it. You can find a good example here. Plus, you can always wear clothes underneath. Amelia Bedelia from the Amelia Bedilia books by Peggy Parish and Herman Parish. She might not be the best maid in the world, but she sure can bake a pie! You can find a no-sew costume here (you could also use flowers from a dollar store lei instead of making your own) or another version here. 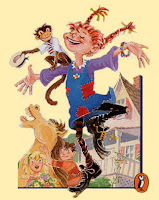 Pippi from the Pippi Longstocking books by Astrid Lindgren. You can see a particularly good one here. Peter Pan from Peter Pan by J.M. Barrie. Halloween is best for the young at heart, so there's really no better costume than Peter Pan. You can find a tutorial here. Katniss Everdeen from The Hunger Games by Suzanne Collins. While not everyone would have got this costume last year, now everyone will. This site has a lot of different videos on how to do her hair and makeup. You can also see a good costume here. You can make your own bow and arrow here and the Mockingjay pin can be found online from Waterstones, Amazon Canada or Amazon USA. 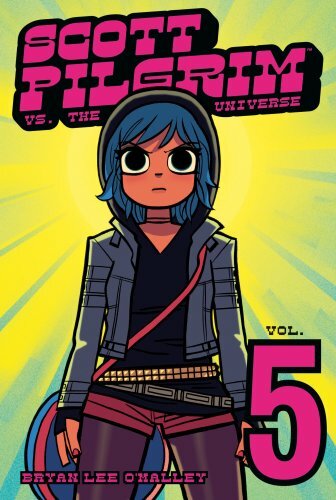 Ramona Flowers from Scott Pilgrim’s Precious Little Life by Bryan Lee O’Malley. The girl of Scott's dreams, Ramona changes her hair colour every few weeks, so you'll have a lot of choices. This costume can be made mostly by throwing together things from thrift stores. You can see a very good costume here. You can learn how to make your own bag here, hammer here and goggles here. I've also seen foam hammers at Dollarama, which could easily be spray painted to look like Ramona's. Waldo from Where's Waldo by Martin Hanford. This one's fairly easy if you can find a white and red striped shirt and glasses. You can find a simple tutorial here. 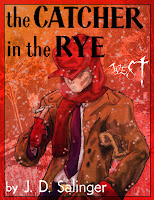 Holden Caulfield from The Catcher and the Rye by J.D. Salinger. If you can find a red hunting cap and a baseball glove, you're half way there. You can see a good costume here. Picture by westwolf270. The Gang from The Magic School Bus by Joanna Cole and Bruce Degen. There's someone for everyone: Ms Frizzle, Liz, Dorothy Ann, Phoebe, Carlos, Arnold, Keesha, Ralphie, Tim, Wanda and the Bus. A large group did this in my high school, and it was awesome. This could be made mostly using thrift store clothes for the kids and Ms Frizzle. Liz could be made just by wearing all green, painting your face and make a tale, felt horns with a head band and felt spikes for your back. Bus could be made by doing something like this. You can see a tutorial here. 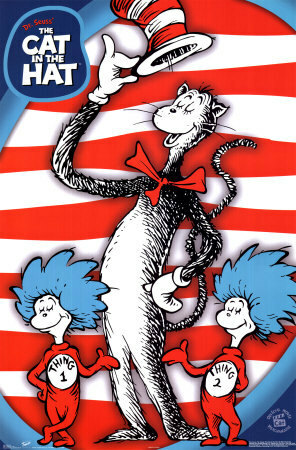 The Cat, Thing 1 and Thing 2 from The Cat in the Hat by Dr. Seuss. You can see different Cat in the Hat costumes here. Don't forget Thing 1 and Thing 2! You can learn how to make the costumes here. Various characters from Charlie and the Chocolate Factory by Roald Dahl. While these costumes are based more on the movie than the book, there always fun and everyone will recognize them. Here is a tutorial for the an Oompa Loompa, Veruca, Violet and Mike. You can see Willy Wonka himself here. Various characters from Alice's Adventures in Wonderland by Lewis Carroll. This site for the book has great ideas and examples. 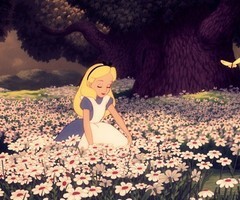 You can also find help for the Alice costume here. You could also go all out by doing this. Various characters from Harry Potter by J.K. Rowling. If you’re depressed that you’ll never be able to dress up for another movie/book release, then there’s always Halloween. There are so many characters to choose from; the possibilities are endless. From the trio, Snape, Luna, Voldemort, Moaning Myrtle, Hedwig and The Fat Lady, you could be anyone. I bought my Gryffindor robes just from Costco, and I'm sure you can find them now at most places (the official WB ones are very expensive.) You can find lots of interesting things here. 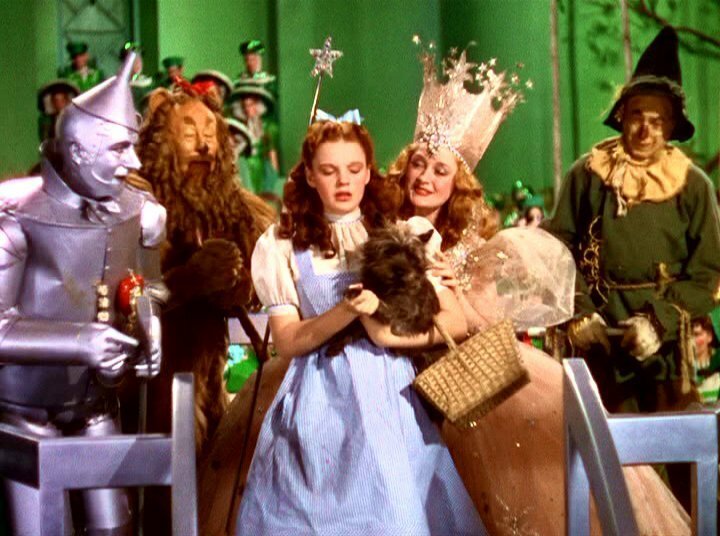 Dorothy, The Tin Woodman, The Scarecrow and The Lion from The Wonderful Wizard of Oz by L. Frank Baum. You can learn how to make Dorothy's ruby slippers here, although in the book they were actually silver. You can get some help here. The author's son has autism too so it rings true. Definitely worth a read. It's a fabulous book and I'm not just saying that because the author is my friend - it's the book that led me to her. I read that, gosh, six or seven years ago. It was really good, too.